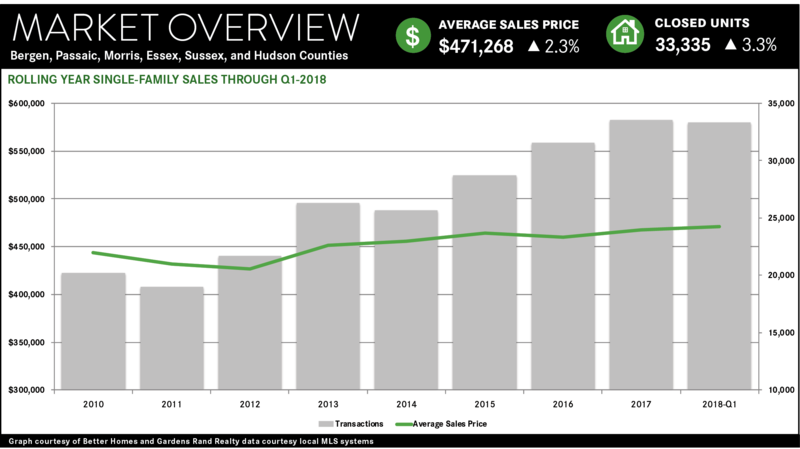 Hudson County’s lack of inventory had its expected impact, driving sales down sharply but prices up dramatically in a strong first quarter. 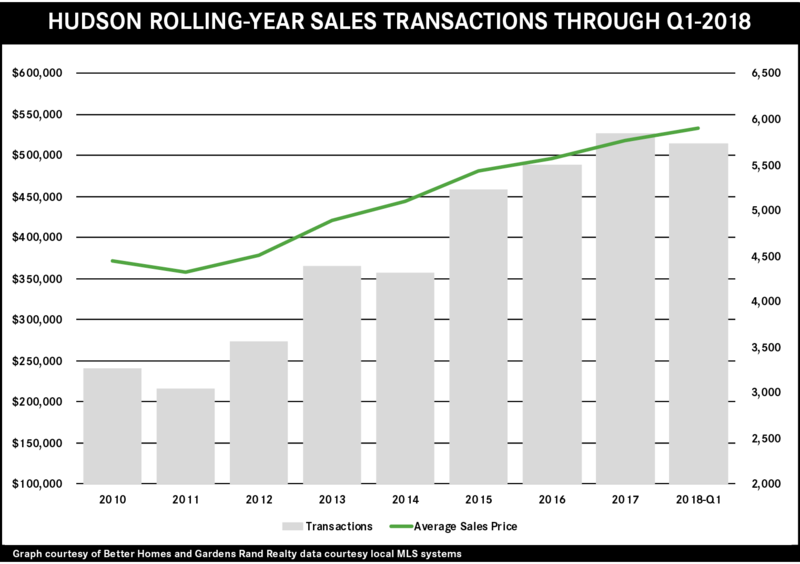 Although overall sales for all property types were up 1.6% from the prior rolling year, they were down 9% from last year’s first quarter, dropping for the first time in over three years. They were down for all property types, falling about 7% for single‑family and multi‑family homes, and over 10% for condos, simply because we don’t have enough inventory to meet demand. But lots of buyers chasing fewer homes had its expected impact on average prices, which spiked across the board: rising over 16% for single‑family, over 21% for multi‑family, and over 11% for condos. That kind of price appreciation is not sustainable, but even the yearlong trends are pretty impressive: up 5% for single-family, 15% for multi-family, and 5% for condos. The Hudson market, bolstered by demand emanating out of Manhattan, is simply on fire, and we expect that to continue for a torrid spring. 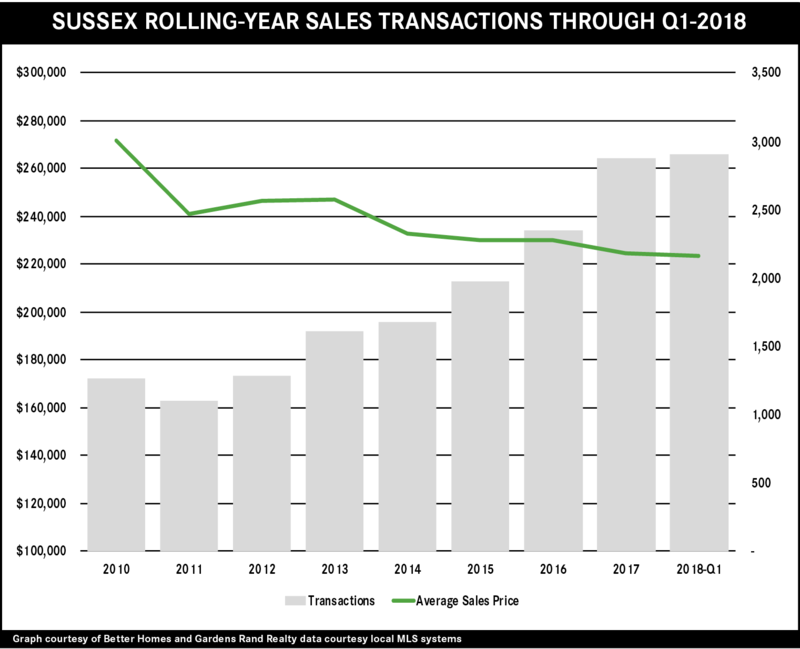 Sales in the Sussex market continued to surge in the first quarter, rising almost 7% and marking over three straight years of increasing transactions. This demand continues to winnow down the inventory, which was down almost 22% and is now getting close to the six‑month level that usually denotes the beginning of a seller’s market. But Sussex homeowners are still waiting for some meaningful appreciation, with prices flat for the quarter and still down for the year. 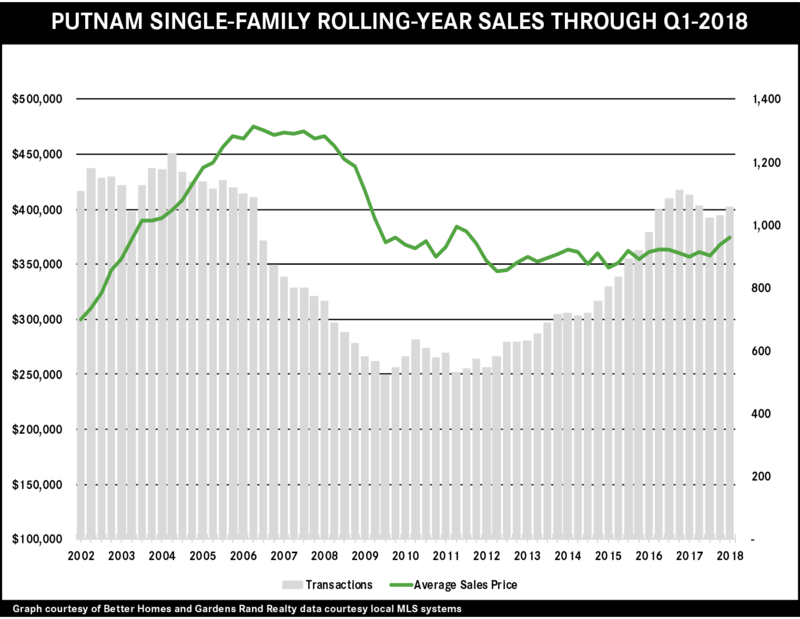 We continue to believe that these high levels of demand coupled with declining inventory will eventually drive some meaningful price appreciation, perhaps even as soon as this spring market. 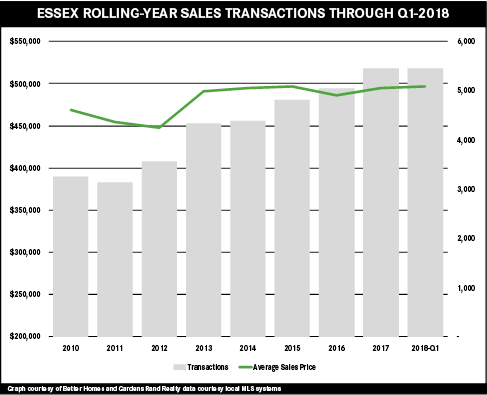 Growth in the Essex market was stifled by a lack of inventory, which was down over 17% from last year and kept sales relatively flat. But increasing demand chasing fewer homes for sale drove prices up, with the average and median both rising about 2%. We’re now seeing sustained appreciation in Essex, with the yearlong prices up almost 2% on average and over 4% at the median. These rising prices will eventually attract more homeowners into selling their homes, but probably not in time for the spring market. 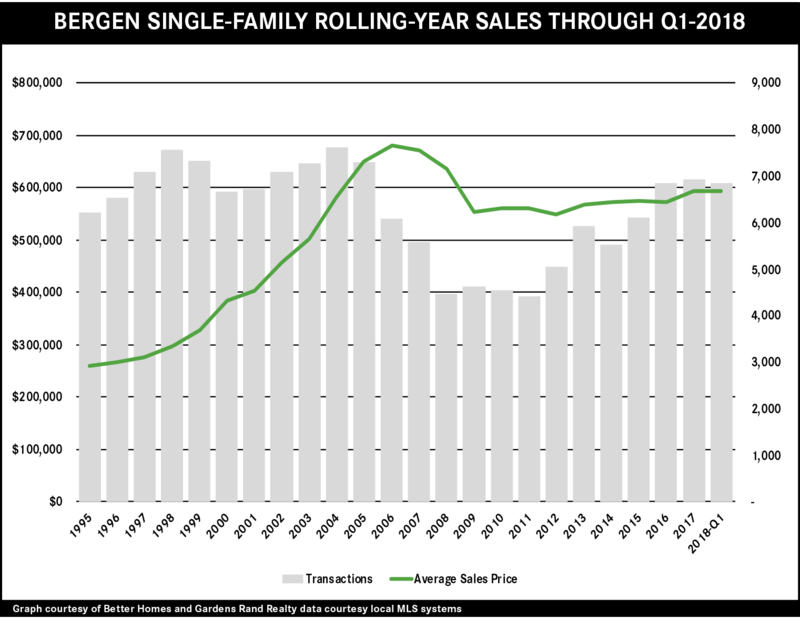 So we expect that the next quarter will continue to see low inventory suppress sales while driving prices higher. 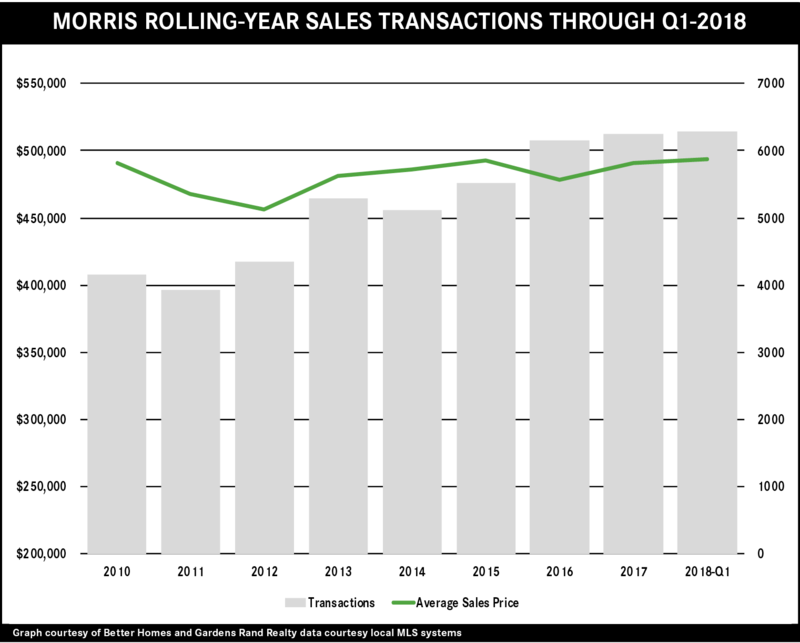 The Morris market cruised through the first quarter, with increases in both sales and prices. Even an almost 20% drop in inventory did not hold sales back, with closings up over 4% from last year. But that lack of inventory did have its expected impact on pricing, which was up over 3% for both the average and the median. We’re now seeing sustained appreciation, with yearlong pricing up over 3% on average and almost 4% at the median. These rising prices will eventually attract more sellers into the market, but probably not in time for the spring market. So we expect that the next quarter will continue to see low inventory suppress sales while driving prices higher. Passaic sales growth was stifled by a lack of available homes for sale, which fell over 21% and is now down to 5.3 months of inventory. That lack of inventory drove sales down almost 4%, but also had a dramatic impact on pricing, which was up almost 6% on average and 7% at the median. We’re now seeing a sustainable appreciation trend, with yearlong prices up almost 4% on average and 5% at the median. These rising prices will eventually attract more homeowners into selling their homes, but probably not in time for the spring market. So we expect that the next quarter will continue to see low inventory suppress sales while driving prices higher. 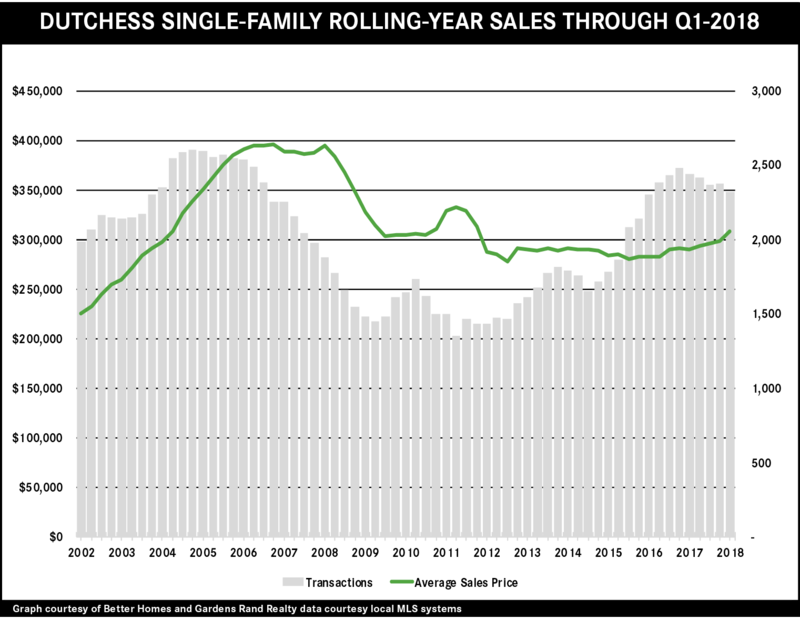 Dutchess single‑family home sales were down sharply in the first quarter, a consequence of a lack of inventory unable to meet strong demand. That’s why prices were up dramatically, rising over 10% for single‑family and almost 18% for condos. This kind of appreciation is probably not sustainable, but the yearlong numbers are also good, with average prices up almost 5% for single‑family and over 2% for condos. We expect that this pricing will eventually attract more sellers into what will be a robust spring market. Putnam’s housing market exploded in the first quarter, with sales and prices sharply up. Inventory continues to fall, which will likely suppress sales in the spring market but should continue to put pressure on prices. Although the eye-popping quarterly 10% average and 9% median sales price increases are not sustainable, the yearlong appreciation of 5% on average and over 6% at the median is a welcome trend for Putnam homeowners. 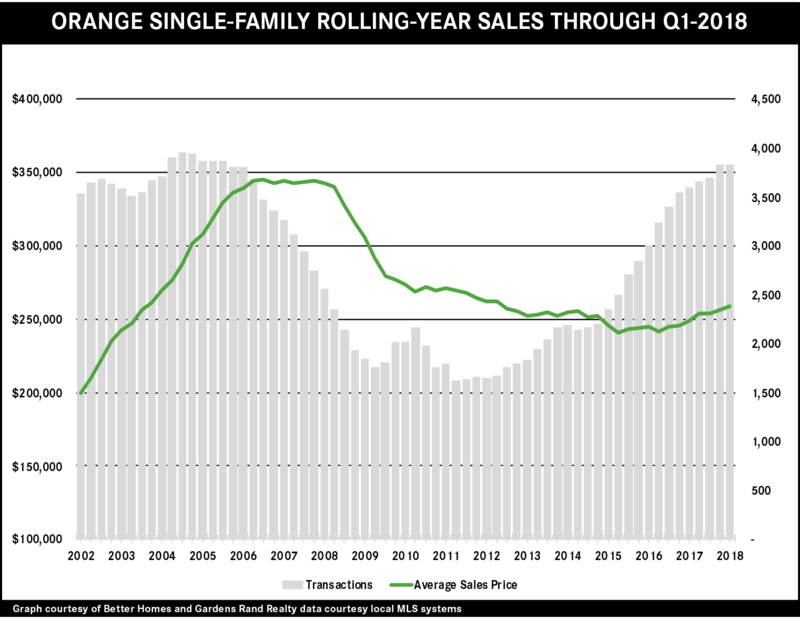 Indeed, the average single‑family price for the past year is now higher than at any time since the market correction in 2009. 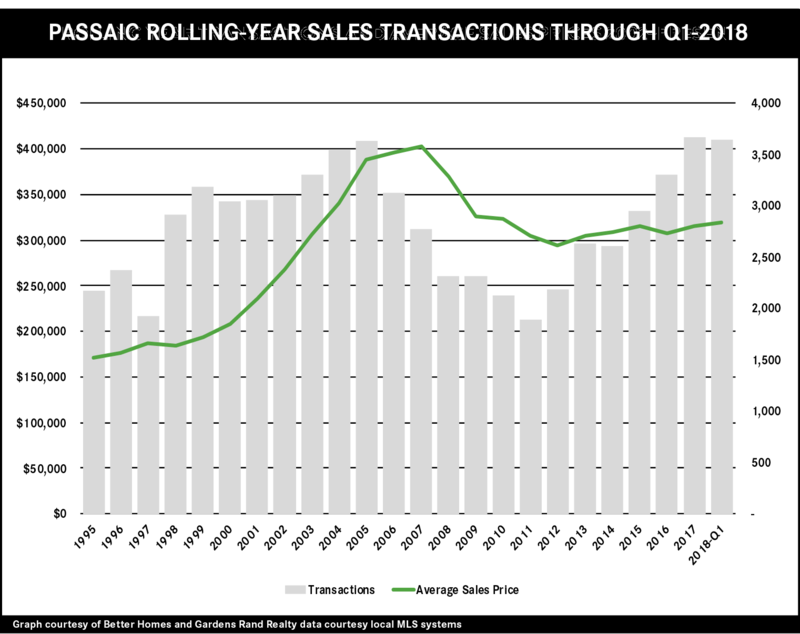 We expect restricted inventory will continue to drive prices up in a robust spring market. Orange’s housing market was stifled by a lack of inventory, which fell 23% and is now down to 4.7 months. But continued demand drove average prices up sharply, rising almost 5% for single‑family and almost 8% for condos for the first quarter. We’re now seeing sustained price appreciation, with average prices up 4% for single-family and 8% for condos for the rolling year. Indeed, Orange has now had seven straight quarters of price appreciation for the first time since the height of the seller’s market. We expect that to continue in what will be a robust spring market.